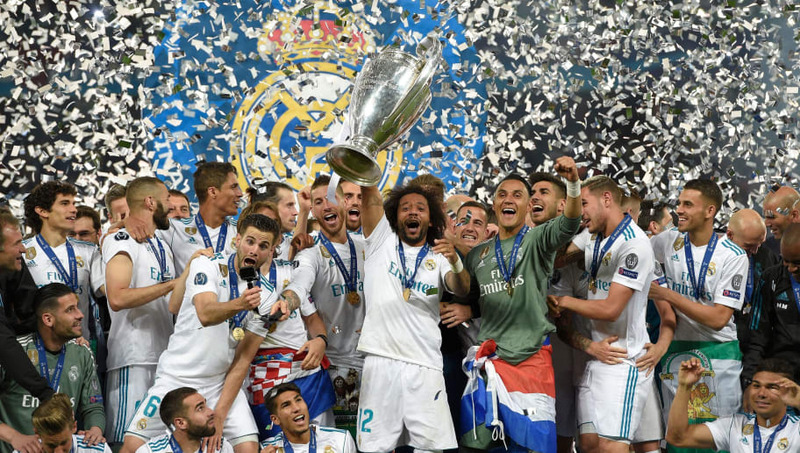 ​Liverpool and Real Madrid played out a cracking Champions League final on Saturday night, filled with extraordinary goals, incredible drama and heartbreaking injuries. Los Blancos, favourites for the match due to their incredible success in Europe's top club competition in recent years, took the lead through after Karim Benzema anticipated well to block Loris Karius' throw into an empty net, but Sadio Mane soon poked home from Dejan Lovren's header. Gareth Bale came on as a second half substitute to score one of the great Champions League final goals before another moment to forget for Karius gave him a second and ​Real Madrid their third. ​​After losing their star man to injury, things got worse for the Reds in the second half when Karius' attempted throw was seen via telepathy by Benzema, who outstretched his leg to give Los Blancos the lead. Ramos was not to blame for Salah injury & Benzema was a predatory genius to score that goal. ​​Liverpool were soon on level terms though, as Mane showed predatory instincts in the box to flick home Lovren's header to equalise. GOOOOOOOAL!! SADIO MANE EQUALISES! WE BELIEVE!! However, Gareth Bale's introduction proved the catalyst for Real Madrid's victory. Firstly, he scored one of the most incredible goals seen this season, arching his body to net an incredible overhead kick from Marcelo's cross. Gareth Bale's was 100 times better.  TAKE A BOW, @GarethBale11!!! Absolutely INCREDIBLE overhead kick to fire us back ahead! ​​He got in on the act again soon after, profiting from another Karius shocker with a long-range effort that should have been comfortably stopped by the German. Just had the call from #Karius’s agent. Sorry, no go. "And You'll Never Walk Alone"
Loris Karius blames himself for the defeat. I said Well it was your fault Loris, you've cost us the game. ​​The errors will likely haunt Karius for a long time, with ​Liverpool likely to pursue a new goalkeeper this summer even more ferociously following his two mistakes.